Are you ready to repurpose and revive your vintage jewelry that’s been lying around for ages! There is no better time for a fresh start than the beginning of the New Year, so bring in your special pieces and together with our highly qualified gemologist, we can redesign your rings, necklaces and bracelets and bring them back to life for you to enjoy. 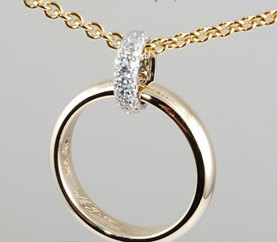 Jewelry lets you show off your personality and helps to give people a sense of your individuality. One of the most important aspects to remember when designing a piece of jewelry is the sentimental purpose or history of the piece. 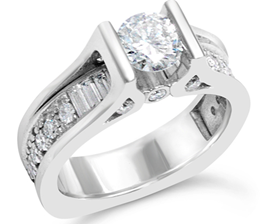 We, at Andrews Jewelry Store, have had many beautiful moments with our valued customers, retelling their history that has been part and parcel of their lives. It is an honor to be able to be an intricate part of stories like that. With these stories in mind we can design a beautiful, updated piece of jewelry working together with our client and using only the best yellow gold, white gold or rose gold mediums. Our most important value is to design a piece that keeps all the emotional attachments as well as the beauty and upgraded value of the piece. 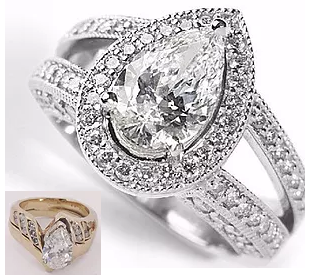 Whether it’s an old wedding band, an engagement ring, necklace or vintage earrings, we have some of the latest designs and stones for you to choose from. 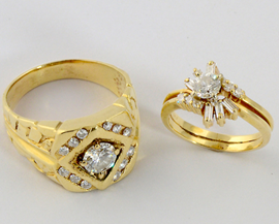 Come in and let our trained Gemologist take a look at your jewelry and give you a fair price for recycling the gold or redesigning the piece into a beautiful ring, necklace, pendant or earrings. We have a large selection of diamonds, colored semi or precious stones for you to choose from. We are one of the largest buyers of vintage jewelry in the Denver, Centennial area and keep a large collection of vintage jewelry.